SurruS pre-ICO is in full swing! 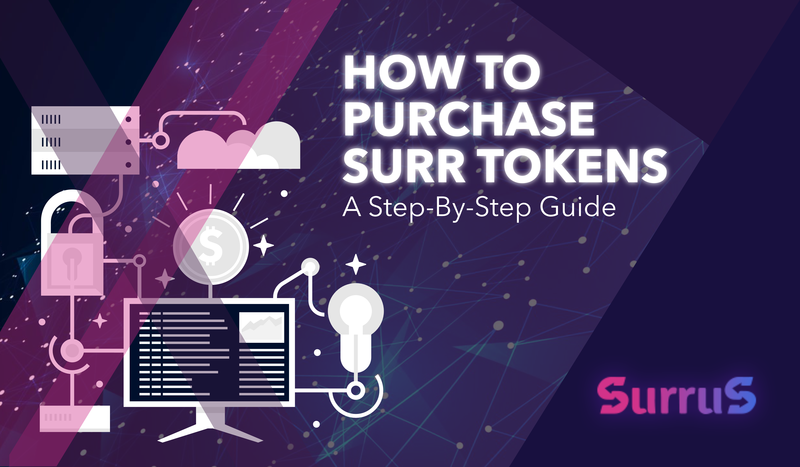 Have you bought SURR tokens yet? If you haven’t, be sure to do it ASAP, while our guaranteed 25% revenue offer is still valid. Here’s a detailed step-by-step guide on how to do it. Fill in the information to register. After clicking Register, you will be automatically redirected to your account. Look for Your Wallet on your Dashboard. Put the ЕТН wallet address where you want the tokens to be transferred, then click Save. Select the currency you will pay for tokens with (BTC or ETH). After choosing the currency, you will see the wallet address where you need to transfer the desired amount in cryptocurrency. Click Copy and go to your main ETH or BTC wallet. If you have MEW, select Send Ether & Tokens. In the field Destination Address put the address that you copied. In the field Amount of Transfer indicate the desired amount. Set Gas Limit to 200,000, then click Send Transaction. Check all the data and click Send. SURR tokens will be credited to your surrus.io account balance within a few minutes. Please note that they will not appear in the MEW wallet, since we issue SURR on the final day of the ICO. Be among the first ones to invest in a first blockchain-based car theft insurance!